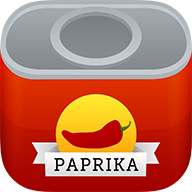 Yes, Paprika 2.0 backup files are fully compatible between the 2.0 iPhone and iPad and Mac versions of Paprika. You can transfer them back and forth without any issue. They cannot be restored or created in Paprika 3.0, where the cloud sync, importing and exporting are the means of backing up recipes. However, backups should not be restored on devices which are not associated with your cloud sync account, as the recipes, etc, are associated with your cloud sync account, and will not sync properly on another cloud sync account.